The jacket is back. Lets just say it was definitely one of my better purchases. BTW I'm seriously obsessed with striped shirts (if you couldn't tell by now). 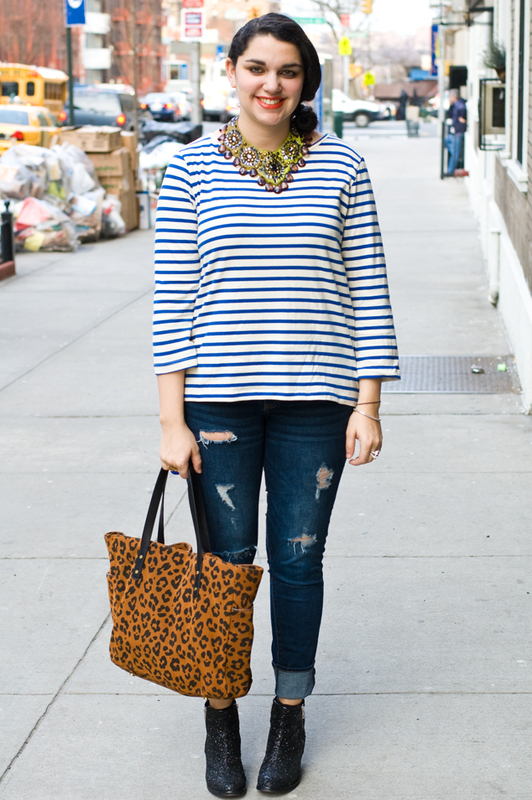 The striped shirt is my version of a plain white tee; classic, timeless. That coat and the necklace are amazing! Love this jacket! I am obsessed with striped skirts too. 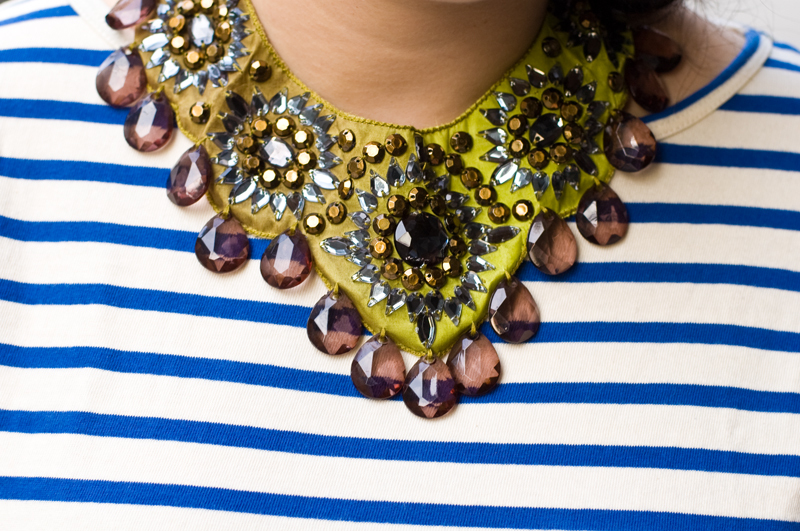 Love each piece you're wearing! :) Super cute! I want your sparkly shoes!!! They are so cute! omg cute outfit! i love the colour and pattern combinations, super chic! I'm completely smitten over this outfit! I love everything about it - and that necklace is insane! your jacket is badass!! love it! I love the T-shirt, the necklace and the shoes! love this! the stripes with that coat! so fun! Love that jacket and the whole outfit!! Love the bold necklace- looks amazing!!! GOT to be one of my favorite posts of yours! You look amazing and that necklace is to die for. Very cute! 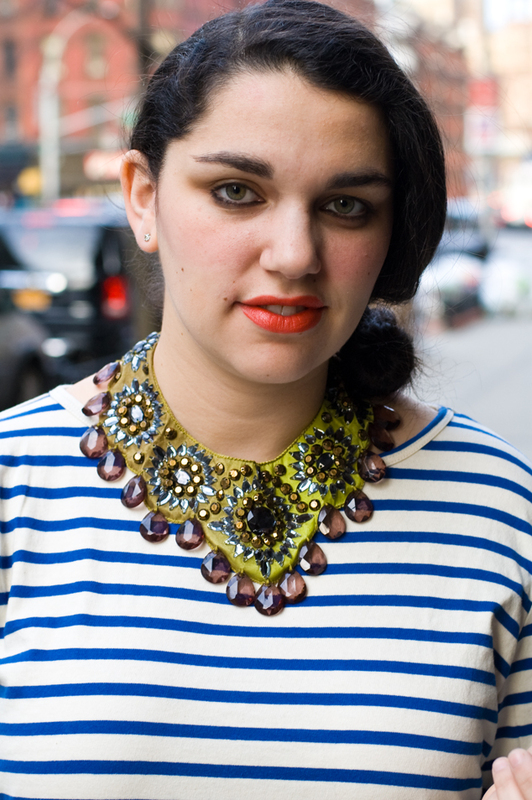 I love the striped top with that necklace! Love the coat and the necklace, you look amazing!